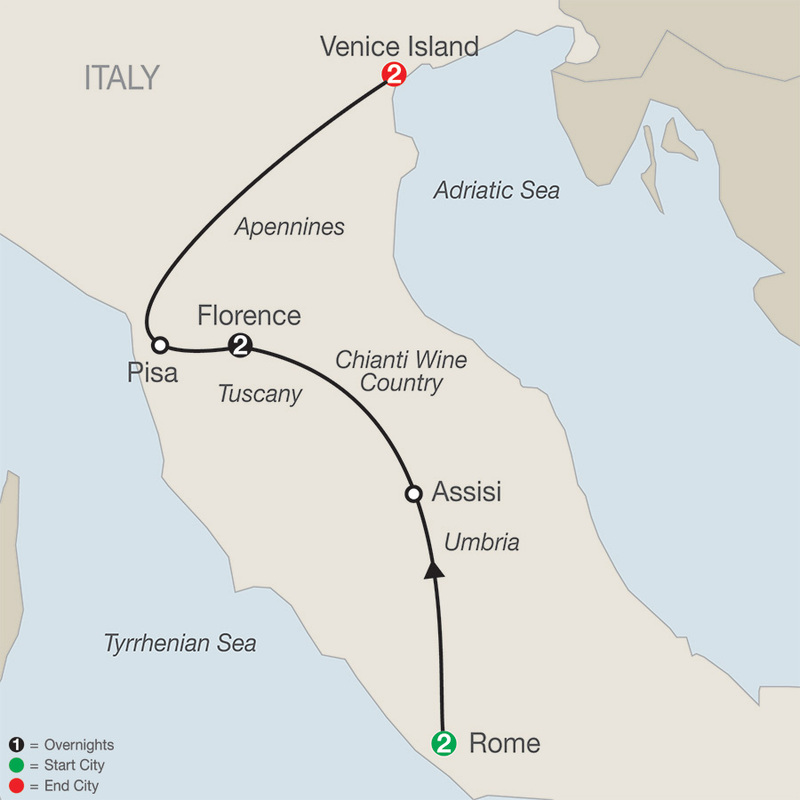 Experience the passion of Italy with a Globus Escape…without the crowds or high-season prices. You’ve heard about Italy—its mouth-watering cuisine, excellent wine, fabulous art, splendid beauty, ancient ruins, and remarkable architecture—now it’s your turn to experience it all! On this Italy escorted tour, get a taste of what the country has to offer and explore its most famous cities: Rome, Florence, and Venice. Have your camera ready as you discover the historical sights of Rome, including St. Peter’s Basilica, the Vatican Museums, and the Sistine Chapel with its Michelangelo’s world-famous ceiling paintings. Also see the Colosseum, the ancient amphitheater used for deadly gladiator contests. Take a step back in time as you get up close to ancient buildings and ruins to imagine what life was like thousands of years ago. Throughout this Italy escorted tour, Globus has arranged VIP access, so rather than waiting in long lines, you’ll get right to the front at all the famous attractions. This gives you more time to experience the sights and more time to taste Italy’s sumptuous cuisine, shop for Italian goods, explore the stunning churches and museums, and participate in optional excursions. Just imagine the memories you’ll create on this fabulous Italian guided vacation at a price that’s as enticing as a glass of wine and tiramisù!